The Colorado River runs across the United States all the way to Mexico to end its 2333 km journey in the Gulf of Mexico. The Colorado River Delta was once a lush region covering over 3,000 square miles, teeming with plant, bird and marine life. But a century of dams and diversions to supply water to farms, ranches, urban areas and industries have reduced the Colorado River to a remnant of its former self — it no longer even regularly reaches the Gulf of California and dries up along its way. In the last decade however, periodic floods and innovative on-the-ground restoration efforts involving local communities have shown that a little bit of water can go a long way toward bringing the Delta ecosystem back to life. 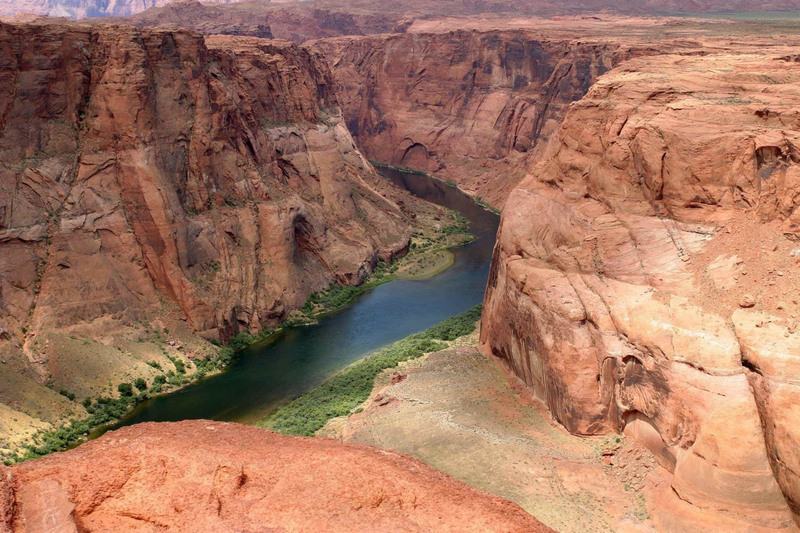 Robert Redford and several others are fighting to Raise the Colorado River to eventually reconnect the river to the Gulf.